On a different note,my photos are of different aura. From time to time,I wanted to be experimental. And this is what we practically did for this photoshoot. Wore this look for the BFAS day 2,got tired of heels coz I was literally walking around the events hall on the first day. So...I ended up wearing my good 'ol sneakers! Wearing sneaks but with a twist! Pairing it with a maxi skirt and a midriff top can make the look much more interesting and mod. The shots were all so dramatic! The colors of the ensemble really popped! 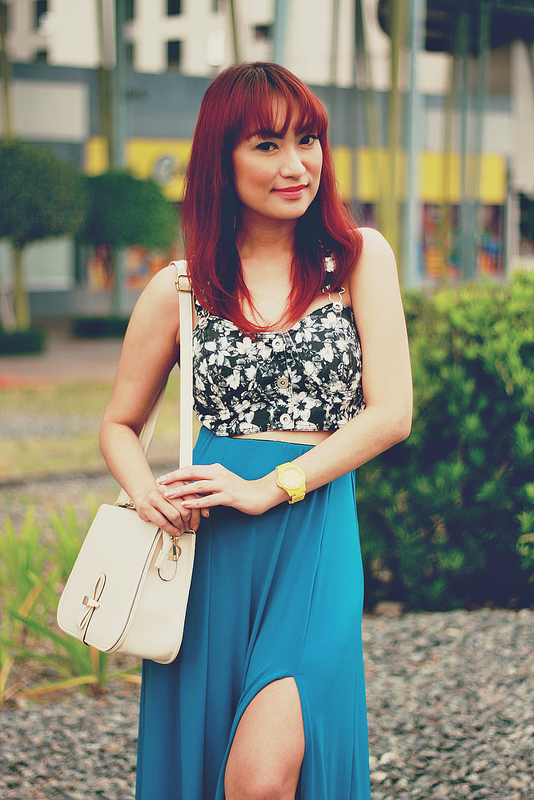 I must say, Big thanks to my blogger friends Rhea and RD for this short but awesome pictorial session! the Trendsetters Bazaar at the Metrotent,Metrowalk in Pasig city. Hope to see you there loves!